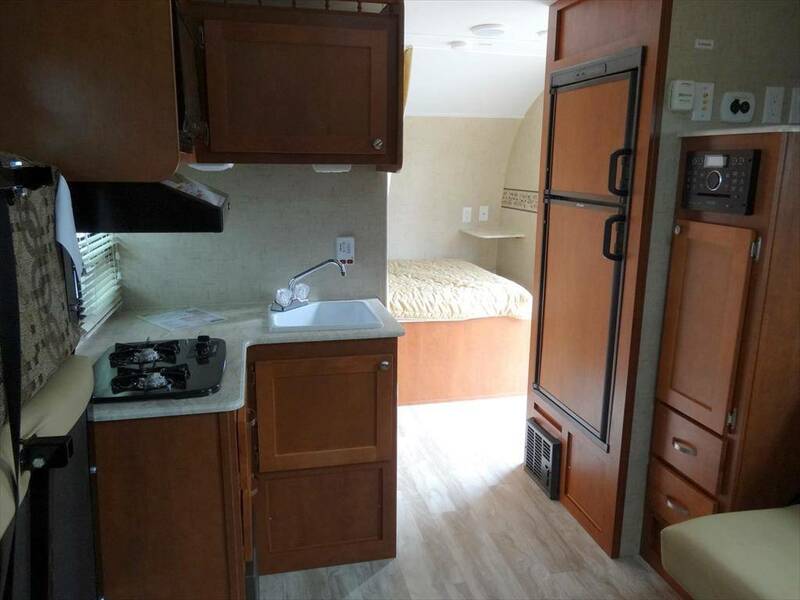 One of the big things I’ve heard in recent years in regards to Riverside RV’s website is that it’s one of the clunckiest, least professional looking RV manufacturer websites around. It was hard to disagree with that assessment. Within the past two years, they upgraded the site, but it was still lacking in continuity. However, they’ve made now another update to the site and this one should end the talk of the website and should focus on the product Riverside produces. The updated site highlights the two White Water lines of trailers and toy haulers: The Retro and the Mt McKinley. Of note in the Retro line is the discontinuation of the first model that was introduced in 2011: The Retro 155 (also the 155XL). All other floorplans seem to be intact, as well as the Retro, Jr teardrop trailer. Specifications are also uniformly laid out among the eight Retro floorplans. Riverside always had a contemporary trailer outside of the Retro, but with the change in name of it to the Mt McKinley, it appears they still want to have a mainstream trailer should the Retro fad start to fade. To view the updated Riverside RVs website for yourself, check it out at http://riversidervs.net. The NEST is the brainchild of Robert Johans, President and Lead Designer of the Bend, Oregon based company. 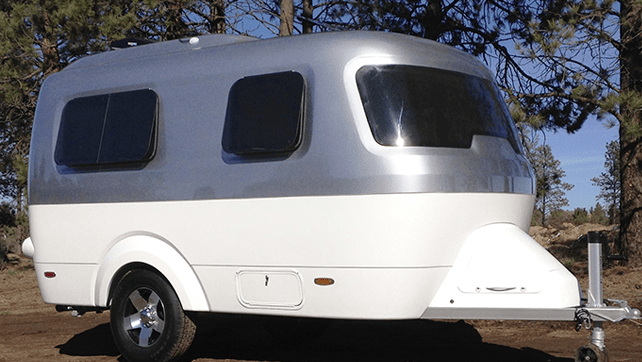 After moving to Bend in 2006, Johans started a fiberglass trailer restoration business called The Egg Plant. 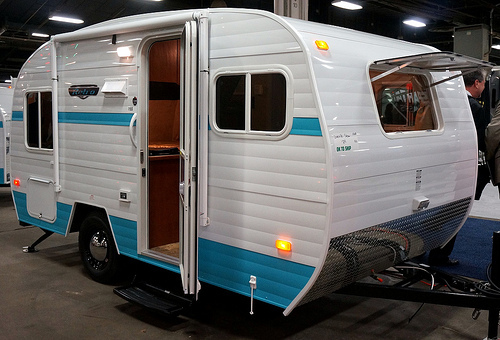 It was his time spent restoring and modernizing Scamps, Bolers, Trilliums, and other fiberglass “egg” trailers where he envisioned creating his own offering to the fiberglass trailer market, and thus the NEST Caravan company was born. 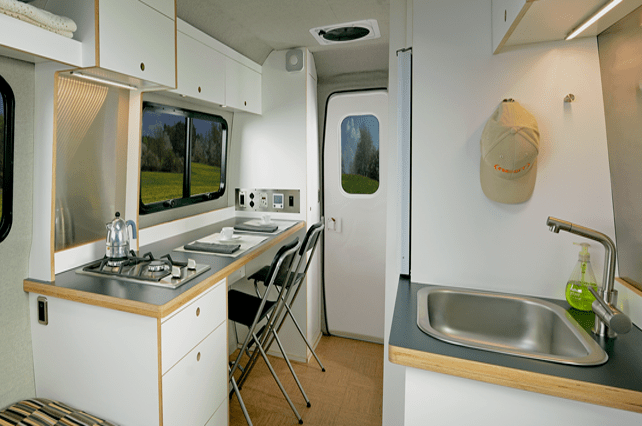 The NEST is rear entry, monocoque bodied, 2400 pounds, and is 16’8″ from hitch to tail. 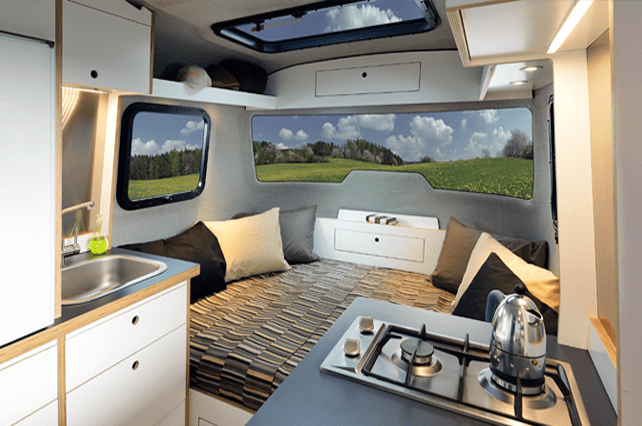 It is by far an upscale offering as molded fiberglass campers go. 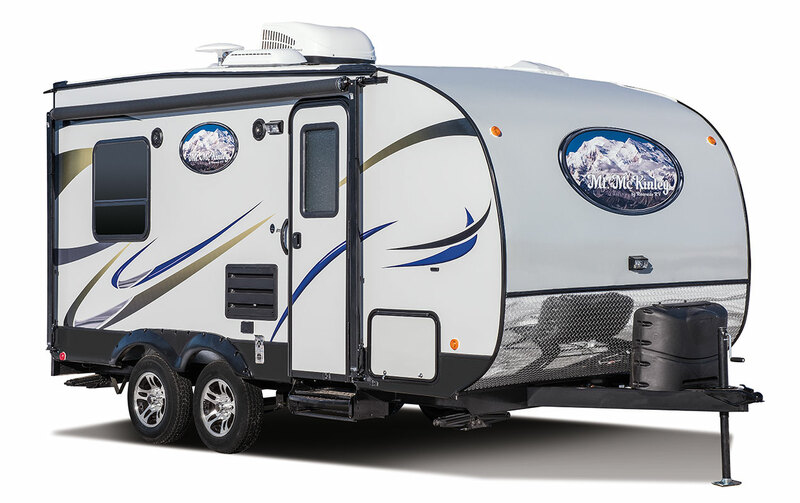 According to the NEST Caravans website, the price on a base model starts at $29,995 and goes up from there, depending on additional options. 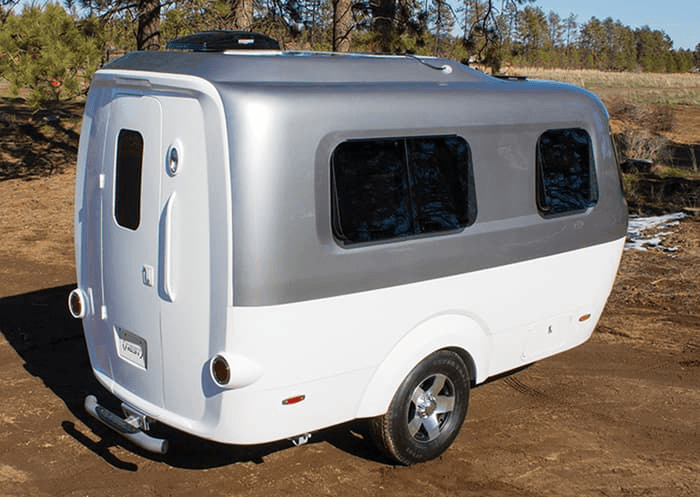 Perhaps when Airstream gets them into mass production, that price may be a little lower, but when it comes to the price of any Airstream, that’s really anyone’s guess. But considering the upscale features NEST already incorporates, I don’t see Airstream backing off of that philosophy and in reality, they’ll likely raise the bar. Obviously this story is developing and much more will be learned in the months to come as Airstream gets production underway. I’ll post here as I hear new updates. For more info on the NEST, you can visit their website (until it shows up on Airstream’s website) here: http://www.nestcaravans.com In the meantime, below is a short video with Robert Johans discussing NEST Caravans.